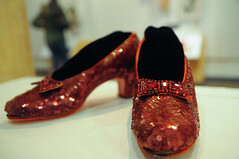 Ruby Red is a reference to the color of the slippers Dorothy wore in the Wizard of Oz. What has always stuck with me about that movie is this notion that what we most need, we already have. 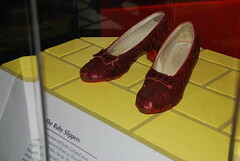 Obviously it wouldn’t have been much of a movie or adventure if Dorothy knew the answer at the beginning of the movie. The fact that she just had to state what she wanted, commit to it, and publicly say it out loud so that she could be where she most wanted to be … well its both remarkable and somewhat pedestrian. So my version of Ruby Red is the idea that by working with business owners and the people they have built relationships with over many years, that there is a time proven and guaranteed approach to double any business while more than doubling the profit and do it with half the number of clients and in it is do-able in less than one tenth the time than they think is reasonably possible. So here is the rub, they have to be willing to take on some new customers while letting a lot of old customers go (and maybe making some changes to their staff). A wise strategist suggested to me, that to make a significant contribution to a going business concern, you have to provide a 50x to 100x impact on the business performance. And I dig the 80x number since it plays into the 80/20 rule. As a real world example, I had the extreme privilege of talking with one of the execs of a Fortune 10 company about his success in their organization and he shared one of his biggest wins in his career. He had come into the company, got to know who the top 20% of the customers were and helped the other 80% find other companies with which to do their business. With the 20% he kept, he let them know they were the best and used the surplus of freed up time to re-focus on their needs. In a year, with 20% of the original customers, he doubled the total revenue for the organization. So, in the end analysis, the really big challenge is the willingness to look at the existing customers and evaluate their alignment with your business and then ask them to help you grow the business. Ultimately, your growth inures benefit to them and vice-versa. Who wouldn’t like to go to the Doctor’s office for a visit and actually spend more than two minutes talking with the Doctor – maybe actually “visit” with them. Which leads to the final point, happy valuable customers who believe in what you offer are typically willing to introduce you to their friend(s) who have similar needs. How frequently do you ask your best customers for a referral?